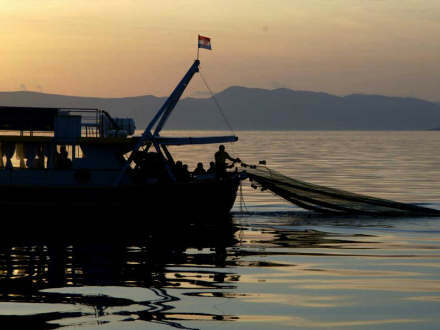 it is a pleasure to offer you one of the programs on fishing boats, converted to offer maximum safety and comfort to our guests, in addition to the unique and traditional experience. 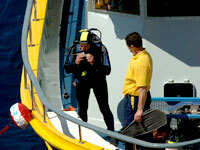 Aurea offers boat excursions, diving trips and you can also hire our boats for a tailor-made trips. 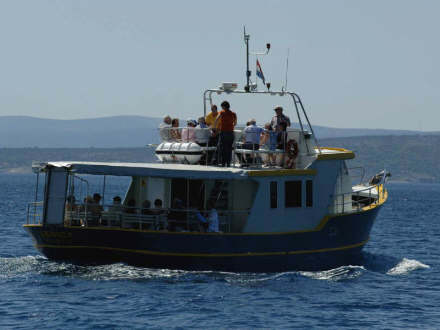 Aurea offers boat hire for diving groups or for mini cruises to the nearby islands of Mali Losinj, Cres, Rab and Dugi Otok. The minimum duration of boat hire is half a day and includes meals served and prepared on your boat, as well as a crew of two plus captain. All routes are planned in advance and take into account your preferences as well as your safety. Boat hire over more than one day is also available, in which case accommodation will be organised in nearby hotels, apartments or private rooms. You will experience the delight of the sea and the sun on our half-day boat cruise, including swimming in one of the coves. 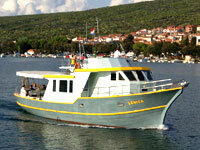 The excursion takes four hours, and we will be sailing along the coast of the island of Krk. 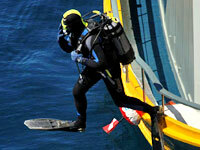 You will be able to find refreshment in the sea in a magnificent lagoon. Coffee and pastry will be served on the boat. A unique experience of night fishing with a dinner in a memorable fishing ambiance with dishes made from the freshly caught fish. You will learn about fishing and fishing nets in a hot summer night under a starry sky. 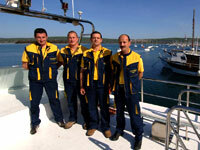 During the fishing, we will offer you a seafood entree with homemade fig brandy. 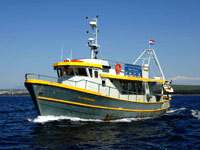 We will separate the fish we catch together, and show you how they are prepared.